Something that is always enjoyable when caravanning is finding a nice spot to pull over and have lunch or just a “cuppa”. If it is going to be an extended stop, switch the 12 volt system off on the fridge. Thus eliminating any possibility of a flat battery on your motor vehicle. Always be aware of other people on the roads and keep your eye on the rear vision mirrors. If there is a build up of cars following, just ease over to the left side of the road and enable the other cars to pass but only when the road is wide enough. When moving on, after a night in a caravan park, take a little time and find a quiet spot. Pull over and walk around your rig, checking all windows are closed, the roof hatch is secure, the hand brake is NOT on and the step is folded in. This way you will not spend the next couple of hours wondering if you have done all these things. When staying overnight in a caravan park and not unhitching your van, make sure you disconnect the 12 volt system, in case the 12 volt lights were inadvertently left on. This will eliminate a possible flat battery when you go to move off the next day. Make a point of pre-cooling your perishables in your household fridge and have the fridge in your van on overnight to check that it is operating correctly. 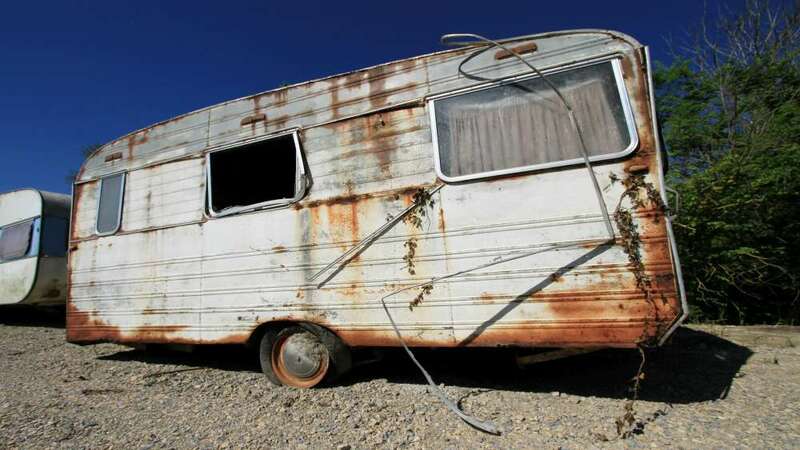 If you are towing a camper trailer, it should be fully erected before connecting the electrical lead, to avoid any damage that could be caused with heat from 240 volt lights. When you are back home after your holiday and have cleaned your van, wipe your fridge out with vanilla spray and store with the door slightly ajar. This prevents any unpleasant odours. It is also a good idea to put ant kill around the jockey wheel and wheels. This is to stop ants entering your van. Part of the equipment you should carry are four small pieces of flat wood, to place under the corner stabilisers of your van. This will avoid the necessity of always adjusting the stabiliser because it has sunk into the ground. Remember your corner stabilisers are not to be wound down tight, as this will bend them. If you are towing a camper trailer and it has been folded with the canvas wet, please ensure it is erected at the first possible opportunity, to dry the canvas out completely and make sure that everything in the van is dry. This will avoid Mildew. Make a point of breaking your journey every 200 kilometres or 2 hours. Find a nice spot to pull over and put the kettle on, or just stretch your legs. After all – you are on holidays and if it takes a little longer to reach your destination – relax – it doesn’t matter. Make up a checklist before commencing your journey, covering such things as tyre pressure, gas bottle is full, extra water, all lights both 12 volt and 240 volt, wheel bearings checked. The time taken to do this will make your holiday that much more enjoyable. The best time to check your van out is about 96 hours before you set off for your trip. Annexes are a great addition to your van, pop top or camper trailer. They provide an extra room, plus shade and shelter from the elements. Take care of it, don’t ever put it away damp for any length of time. Annexes with detachable walls are most desirable as quite often, you will only use the roof as an awning. Always check when travelling that the roof hatch is properly closed, as if left open, it could let in excessive dust and cause damage to the operation of the hatch, due to road vibrations and wind. If travelling on dusty roads, have a pressure hatch fitted to your van. When towing avoid hard acceleration from traffic lights or up hills. All this achieves is a higher fuel consumption. Make a point of listening to your engine, it will tell you when you are getting the best performance from your vehicle. Unsure About How to Tow? 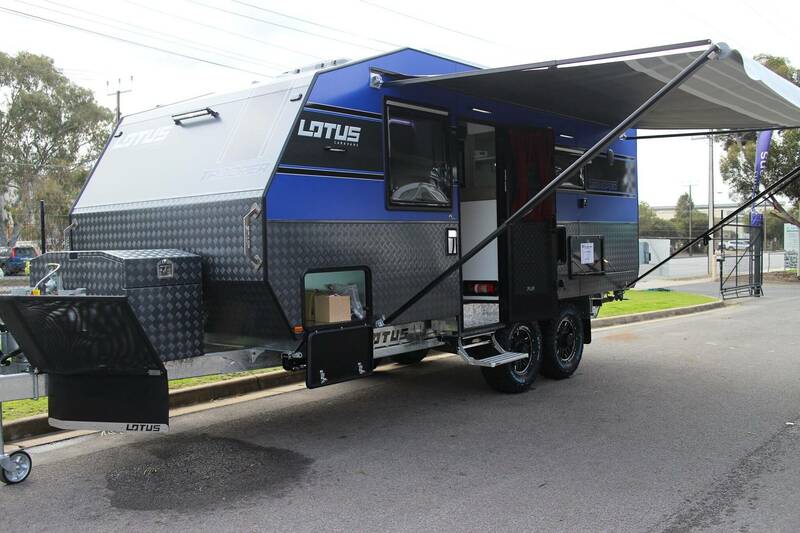 Contemplating the purchase of a caravan, pop-top or camper trailer but a little apprehensive about towing, don’t be. All it requires is a little common sense and ensuring that the car and the van you purchase are compatible. Be advised by the caravan dealer in this matter – he will assist and guide you as to the correct towing aids most suitable for your requirements. Once set up correctly and on the road, you will wonder why you did not take up caravanning much earlier. As you would prepare your car and caravan, do likewise with your holiday. Work out a basic itinerary – this will vary as you go along, but at least you will have a general idea as to where you are heading. Planning can almost be as enjoyable as your trip. Towing aids such as load distribution hitches or torsion bars can be fitted to most vans, camper trailers etc. 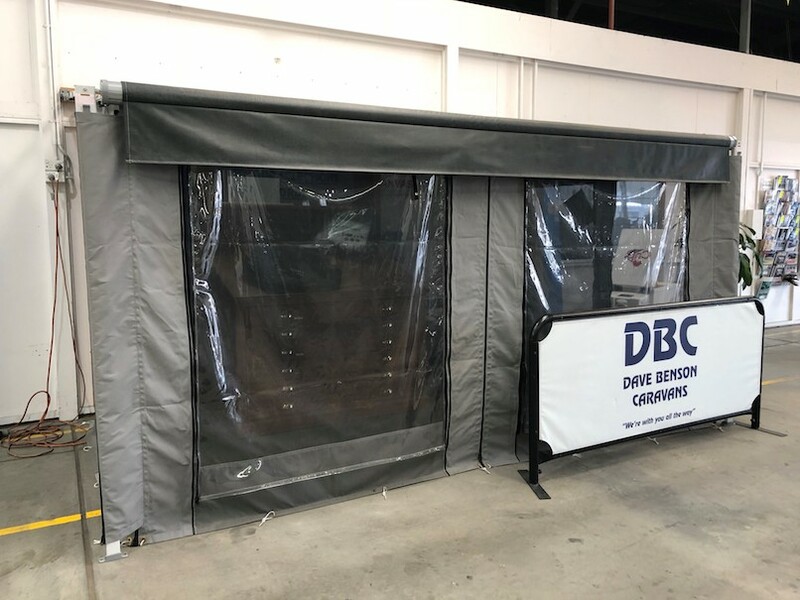 It is advisable to seek the professional advice from your caravan dealer as to the best type you require for your car and caravan combination. Caravans like cars require regular servicing. This will ensure you have a trouble free and enjoyable holiday. Regular maintenance will also keep your unit in first class condition, thereby adding to the resale value or trade-in price. Your caravan represents a considerable outlay on your part and it is in your own interest to make sure it is always in top condition. 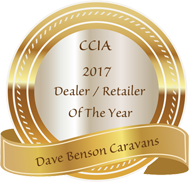 Dave Benson Caravans offer a full range of both servicing and repair / alteration services to ensure you get maximum enjoyment from your RV. 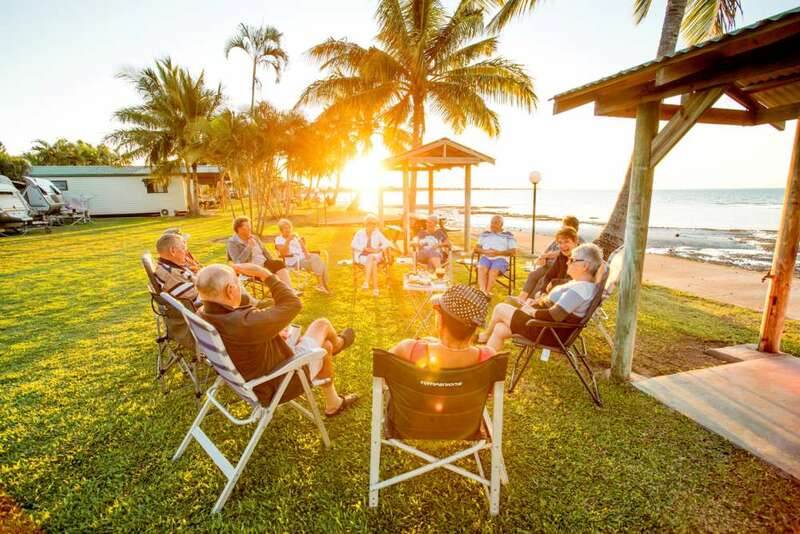 Today’s caravan parks offer all the amenities you will need for an enjoyable holiday. Usually they are situated on prime real estate and some offer magnificent ocean views, whilst others offer the peace and tranquility of a rural setting. 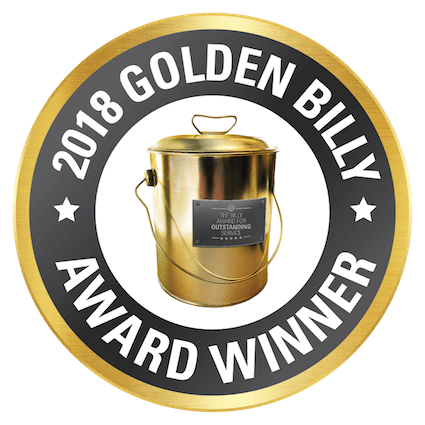 Best of all, they offer companionship and friendship – you need never be lonely in a caravan park. When caravanning in hot weather, don’t over-pack your fridge, leave space around things to enable cool air to circulate. By doing this, you should find your fridge will work more efficiently. Always make sure the vents are not blocked and that your van is perfectly level when on site. Your caravan is not just something to tow to site and leave there, while you get on with your holiday. It is your base. If you are keen on metal detecting, fishing or just relaxing with the family and reading a good book – remember it is your home away from home, so treat it as such and just enjoy the good life that caravanning offers. A caravan is your ticket to freedom. You can get away when you like, go almost anywhere you want and choose a different destination each time. Be happy in the knowledge you are not depending on hotels or motels, as you are towing your own luxury accommodation behind you. When purchasing a used caravan, it is advisable to do this from a recognised caravan dealer. He is a specialist and will be able to advise you on the right type of unit, most suitable for your requirements. He can also advise you on tow bars and all types of towing aids and apart form all that, he has his own reputation to look after. When touring in the outback, first check with local authorities as to the condition of the roads on which you wish to travel. Advise them of your departure date and approximate arrival. Make sure extra containers of water and fuel are carried along with extra tyres. If travelling outback, make sure you have a two way radio, as mobile phones don’t work in all outback areas. Caravanning continues to bring freedom, convenience and inexpensive holidaying to all kinds of people. Today’s caravans are a far cry from the days of the big heavy high units of the 1970’s. Today with their aerodynamics and much lighter towing weight, they enable you to really relax when travelling. Taking to the open road with your holiday home behind you for the first time, may make you feel a little apprehensive. Don’t be – it is just a question of driving something bigger. So think of the extra width and length and make allowances for it. You will soon get the feel and be completely at ease. The days of caravans or camper swaying all over the road are long gone. Mainly due to the new rules and regulations governing both caravans and tow vehicles. Plus today’s modern cars and caravans are certainly more compatible for towing. Just tell your caravan dealer what vehicle you have and he can match the size and weight to suit your vehicle. Caravaning Around Australia – The Ultimate Dream! Thinking of going around Australia – the most economical way of doing this would be with a caravan or camper trailer – the Ultimate Dream! That is a trip of a lifetime, touring around this magnificent country of ours. Don’t Dream It – Do It! Get out and join the hundreds of others that are already living their dream. Talk to a caravan dealer, he is a specialist. Don’t think you have to be active or outgoing to go caravanning. Simply enjoying the countryside and more leisurely is an excellent reason to purchase a van. If you enjoy photography, fishing or bird watching, making new friends or just plain relaxing and reading a good book in a friendly environment – these are all good reasons to go caravanning. The van is packed, the car has been checked, the weather forecast is excellent and you are ready to start one of the greatest adventures of your life. A trip Around Australia!!! Complete in the knowledge, the biggest decision you will have to make is where to stop and for how long. Take time off to stop at the nearest river and drop your watch in. You are free to roam – so time doesn’t matter.